Did you miss the chance to see 813 at the Bluebell Railway? Well it's running again this week! 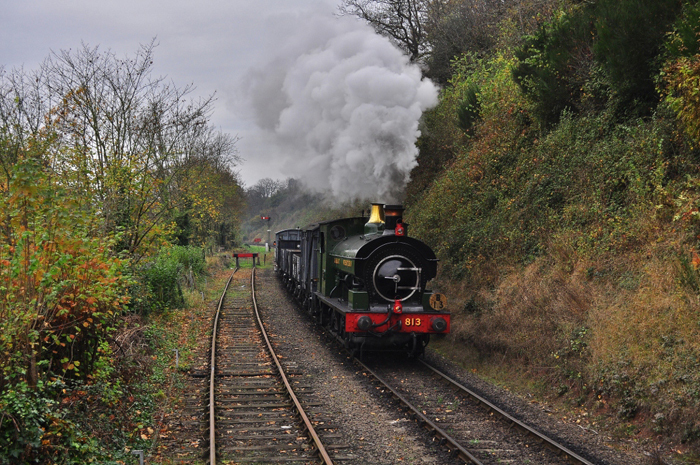 GWR 813 visited the Bluebell Railway for their Branch Line gala that was last weekend. GWR 813 was very popular over the weekend and pleased may visitors. If you weren't able to visit the Bluebell for their Branch Line Gala and couldn't see 813, no need to fear! See her again this weekend! She will be operating on this Saturday, Sunday, Monday, Tuesday & Wednesday!